Last week while exploring in Colorado I jumped out of the car to snap a couple of pictures while the guys (Kevin, Mark, & Bryant) rolled their eyes and waited. When I came back to the car I said "it smells nice outside, like clean and fresh". Of course, the guys﻿ looked at me like I was crazy, but then it started snowing not 5 minutes later! I have always been able to smell snow coming and I'm overly proud of that fact! 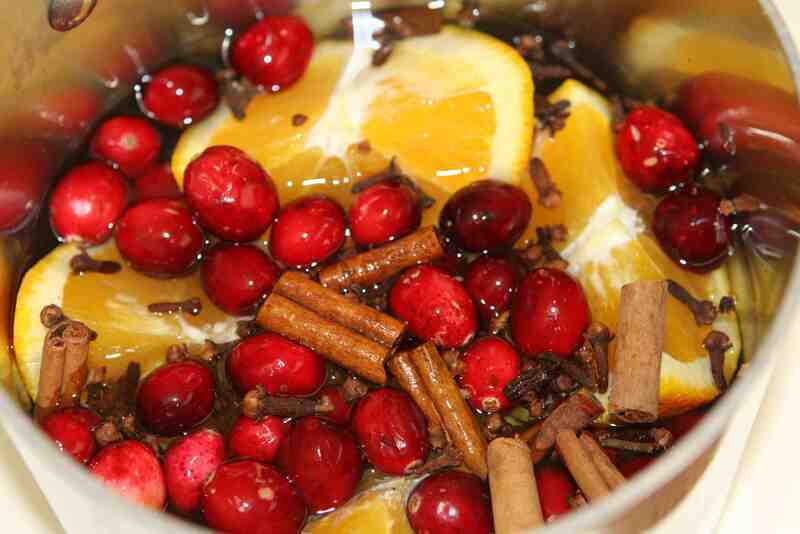 I found this Christmas Stovetop Potpourri on pinterest recently and had a chance to try it out this past weekend. It smelled great! Not overpowering, but definately a nice addition to the house during the Christmas season. If you come over between now and Christmas you'll probably even get to smell it for yourself! The origional instuctions & pictures are great so I didn't bother taking any new ones. Again, in case you missed it, go here for the how-to-do-it-yourself instructions.